Information services are economic and organizational activities for informing people. Because informing is changing rapidly under the influence of internet-technologies, this book presents in Chapter 1 fundamental notions of information and knowledge, based on philosopher C.W. Churchman’s inquiring systems. This results in the identification of three product-oriented design theory aspects: content, use value and revenue. Chapter 2 describes how one can cope with these aspects by presenting process-oriented design theory. Both design theory insights are applied in chapters on information services challenges, their business concepts and processes, their architectures and exploitation. The final chapter discusses three case studies that integrate the insights from previous chapters, and it discusses some ideas for future research. 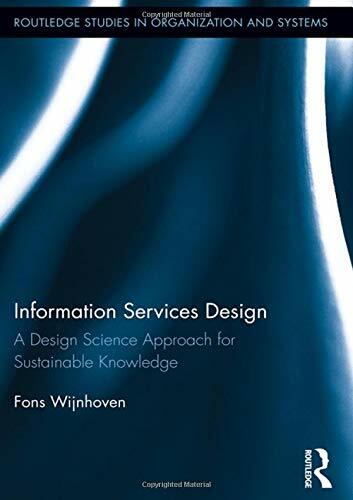 This book gives students a coherent start to the topic of information services from a design science perspective, with a balance between technical and managerial aspects. Therefore, this book is useful for modern curricula of management, communication science and information systems. Because of its design science approach, it also explains design science principles. The book also serves professionals and academics in search of a foundational understanding of informing as a science and management practice. View More In Knowledge Capital.